Samsung Tool PRO 25.8 Released. World First! Samsung Tool PRO 25.8. World First! – SM-J210F patch CERT (repair network) – World First! – SM-J320F patch CERT (repair network) – World First! – SM-J320FN patch CERT (repair network) – World First! – SM-J320M patch CERT (repair network) – World First! – SM-J320ZN patch CERT (repair network) – World First! – SM-T285 patch CERT (repair network) – World First! – SM-T285YD patch CERT (repair network) – World First! – SM-T287 patch CERT (repair network) – World First! Posted in GPGIndustries News, GSMHosting News | Comments Off on Samsung Tool PRO 25.8 Released. World First! Enabled repair IMEI in SPMETA for huawei secured phones like Y330 and others. Imei is permanent and not gone after format. Rewrited read phone info in meta mode, now will display IMEI and Modem version. Added possibility to Repair Both IMEI’s at same time or separate by selecting in exe. Fixed backup firmware = saving files differ with scatter files. What Does IMEI Repair in SP-Meta Operation do? 3. It Fixes Unknown BaseBand. Models added to supported list. QMobile A11 MT6577 – Read Info/Flashing/Direct Unlock By ADB,Flash Mode, Meta Mode/IMEI Repair By SPMETA Exclusive, Meta Mode, ADB Mode, Flash Mode/Reset Privacy/Backup & Restore Security/Format/Read Firmware etc..
QMobile A12 MT6577 – Read Info/Flashing/Direct Unlock By ADB,Flash Mode, Meta Mode/IMEI Repair By SPMETA Exclusive, Meta Mode, ADB Mode, Flash Mode/Reset Privacy/Backup & Restore Security/Format/Read Firmware etc..
QMobile A50 MT6577 – Read Info/Flashing/Direct Unlock By ADB,Flash Mode, Meta Mode/IMEI Repair By SPMETA Exclusive, Meta Mode, ADB Mode, Flash Mode/Reset Privacy/Backup & Restore Security/Format/Read Firmware etc..
QMobile A60 MT6577 – Read Info/Flashing/Direct Unlock By ADB,Flash Mode, Meta Mode/IMEI Repair By SPMETA Exclusive, Meta Mode, ADB Mode, Flash Mode/Reset Privacy/Backup & Restore Security/Format/Read Firmware etc..
QMobile A80 MT6577 – Read Info/Flashing/Direct Unlock By ADB,Flash Mode, Meta Mode/IMEI Repair By SPMETA Exclusive, Meta Mode, ADB Mode, Flash Mode/Reset Privacy/Backup & Restore Security/Format/Read Firmware etc..
QMobile A63 MT6572 – Read Info/Flashing/Direct Unlock By ADB,Flash Mode, Meta Mode/IMEI Repair By SPMETA Exclusive, Meta Mode, ADB Mode, Flash Mode/Reset Privacy/Backup & Restore Security/Format/Read Firmware etc..
QMobile A65 MT6572 – Read Info/Flashing/Direct Unlock By ADB,Flash Mode, Meta Mode/IMEI Repair By SPMETA Exclusive, Meta Mode, ADB Mode, Flash Mode/Reset Privacy/Backup & Restore Security/Format/Read Firmware etc..
Qmobile A75 MT6572 – Read Info/Flashing/Direct Unlock By ADB,Flash Mode, Meta Mode/IMEI Repair By SPMETA Exclusive, Meta Mode, ADB Mode, Flash Mode/Reset Privacy/Backup & Restore Security/Format/Read Firmware etc..
Qmobile A400 MT6572 – Read Info/Flashing/Direct Unlock By ADB,Flash Mode, Meta Mode/IMEI Repair By SPMETA Exclusive, Meta Mode, ADB Mode, Flash Mode/Reset Privacy/Backup & Restore Security/Format/Read Firmware etc..
QMobile X10 MT6572 – Read Info/Flashing/Direct Unlock By ADB,Flash Mode, Meta Mode/IMEI Repair By SPMETA Exclusive, Meta Mode, ADB Mode, Flash Mode/Reset Privacy/Backup & Restore Security/Format/Read Firmware etc..
QMobile X20 MT6572 – Read Info/Flashing/Direct Unlock By ADB,Flash Mode, Meta Mode/IMEI Repair By SPMETA Exclusive, Meta Mode, ADB Mode, Flash Mode/Reset Privacy/Backup & Restore Security/Format/Read Firmware etc..
QMobile X25 MT6572 – Read Info/Flashing/Direct Unlock By ADB,Flash Mode, Meta Mode/IMEI Repair By SPMETA Exclusive, Meta Mode, ADB Mode, Flash Mode/Reset Privacy/Backup & Restore Security/Format/Read Firmware etc..
Qmobile X30 MT6572 – Read Info/Flashing/Direct Unlock By ADB,Flash Mode, Meta Mode/IMEI Repair By SPMETA Exclusive, Meta Mode, ADB Mode, Flash Mode/Reset Privacy/Backup & Restore Security/Format/Read Firmware etc..
QMobile X35 MT6572 – Read Info/Flashing/Direct Unlock By ADB,Flash Mode, Meta Mode/IMEI Repair By SPMETA Exclusive, Meta Mode, ADB Mode, Flash Mode/Reset Privacy/Backup & Restore Security/Format/Read Firmware etc..
QMobile X37 MT6572 – Read Info/Flashing/Direct Unlock By ADB,Flash Mode, Meta Mode/IMEI Repair By SPMETA Exclusive, Meta Mode, ADB Mode, Flash Mode/Reset Privacy/Backup & Restore Security/Format/Read Firmware etc..
QMobile X90 MT6572 – Read Info/Flashing/Direct Unlock By ADB,Flash Mode, Meta Mode/IMEI Repair By SPMETA Exclusive, Meta Mode, ADB Mode, Flash Mode/Reset Privacy/Backup & Restore Security/Format/Read Firmware etc..
QMobile A900i MT6582 – Read Info/Flashing/Direct Unlock By ADB,Flash Mode, Meta Mode/IMEI Repair By SPMETA Exclusive, Meta Mode, ADB Mode, Flash Mode/Reset Privacy/Backup & Restore Security/Format/Read Firmware etc..
QMobile M90 MT6582 – Read Info/Flashing/Direct Unlock By ADB,Flash Mode, Meta Mode/IMEI Repair By SPMETA Exclusive, Meta Mode, ADB Mode, Flash Mode/Reset Privacy/Backup & Restore Security/Format/Read Firmware etc..
QMobile M300 MT6582 – Read Info/Flashing/Direct Unlock By ADB,Flash Mode, Meta Mode/IMEI Repair By SPMETA Exclusive, Meta Mode, ADB Mode, Flash Mode/Reset Privacy/Backup & Restore Security/Format/Read Firmware etc..
QMobile Noir i10 MT6582 – Read Info/Flashing/Direct Unlock By ADB,Flash Mode, Meta Mode/IMEI Repair By SPMETA Exclusive, Meta Mode, ADB Mode, Flash Mode/Reset Privacy/Backup & Restore Security/Format/Read Firmware etc..
QMobile X250 MT6582 – Read Info/Flashing/Direct Unlock By ADB,Flash Mode, Meta Mode/IMEI Repair By SPMETA Exclusive, Meta Mode, ADB Mode, Flash Mode/Reset Privacy/Backup & Restore Security/Format/Read Firmware etc..
QMobile X300 MT6582 – Read Info/Flashing/Direct Unlock By ADB,Flash Mode, Meta Mode/IMEI Repair By SPMETA Exclusive, Meta Mode, ADB Mode, Flash Mode/Reset Privacy/Backup & Restore Security/Format/Read Firmware etc..
Qmobile X350 MT6582 – Read Info/Flashing/Direct Unlock By ADB,Flash Mode, Meta Mode/IMEI Repair By SPMETA Exclusive, Meta Mode, ADB Mode, Flash Mode/Reset Privacy/Backup & Restore Security/Format/Read Firmware etc..
QMobile X450 MT6582 – Read Info/Flashing/Direct Unlock By ADB,Flash Mode, Meta Mode/IMEI Repair By SPMETA Exclusive, Meta Mode, ADB Mode, Flash Mode/Reset Privacy/Backup & Restore Security/Format/Read Firmware etc..
QMobile X500 MT6582 – Read Info/Flashing/Direct Unlock By ADB,Flash Mode, Meta Mode/IMEI Repair By SPMETA Exclusive, Meta Mode, ADB Mode, Flash Mode/Reset Privacy/Backup & Restore Security/Format/Read Firmware etc..
Qmobile X60 MT6582 – Read Info/Flashing/Direct Unlock By ADB,Flash Mode, Meta Mode/IMEI Repair By SPMETA Exclusive, Meta Mode, ADB Mode, Flash Mode/Reset Privacy/Backup & Restore Security/Format/Read Firmware etc..
QMobile Noir i5i MT6582 – Read Info/Flashing/Direct Unlock By ADB,Flash Mode, Meta Mode/IMEI Repair By SPMETA Exclusive, Meta Mode, ADB Mode, Flash Mode/Reset Privacy/Backup & Restore Security/Format/Read Firmware etc..
QMobile Noir i5i Lite MT6582 – Read Info/Flashing/Direct Unlock By ADB,Flash Mode, Meta Mode/IMEI Repair By SPMETA Exclusive, Meta Mode, ADB Mode, Flash Mode/Reset Privacy/Backup & Restore Security/Format/Read Firmware etc..
QMobile Linq X70 V2 MT6582 – Read Info/Flashing/Direct Unlock By ADB,Flash Mode, Meta Mode/IMEI Repair By SPMETA Exclusive, Meta Mode, ADB Mode, Flash Mode/Reset Privacy/Backup & Restore Security/Format/Read Firmware etc..
QMobile Noir i6i MT6580 – Read Info/Flashing/Direct Unlock By ADB,Flash Mode, Meta Mode/IMEI Repair By SPMETA Exclusive, Meta Mode, ADB Mode, Flash Mode/Reset Privacy/Backup & Restore Security/Format/Read Firmware etc..
QMobile X700i MT6580 5.1 – Read Info/Flashing/Direct Unlock By ADB,Flash Mode, Meta Mode/IMEI Repair By SPMETA Exclusive, Meta Mode, ADB Mode, Flash Mode/Reset Privacy/Backup & Restore Security/Format/Read Firmware etc..
QMobile X1 MT6571 – Read Info/Flashing/Direct Unlock By ADB,Flash Mode, Meta Mode/IMEI Repair By SPMETA Exclusive, Meta Mode, ADB Mode, Flash Mode/Reset Privacy/Backup & Restore Security/Format/Read Firmware etc..
QMobile X2 MT6571 – Read Info/Flashing/Direct Unlock By ADB,Flash Mode, Meta Mode/IMEI Repair By SPMETA Exclusive, Meta Mode, ADB Mode, Flash Mode/Reset Privacy/Backup & Restore Security/Format/Read Firmware etc..
QMobile X5 MT6571 – Read Info/Flashing/Direct Unlock By ADB,Flash Mode, Meta Mode/IMEI Repair By SPMETA Exclusive, Meta Mode, ADB Mode, Flash Mode/Reset Privacy/Backup & Restore Security/Format/Read Firmware etc..
QMobile A20 MT6589 – Read Info/Flashing/Direct Unlock By ADB,Flash Mode, Meta Mode/IMEI Repair By SPMETA Exclusive, Meta Mode, ADB Mode, Flash Mode/Reset Privacy/Backup & Restore Security/Format/Read Firmware etc..
QMobile X900 MT6592 – Read Info/Flashing/Direct Unlock By ADB,Flash Mode, Meta Mode/IMEI Repair By SPMETA Exclusive, Meta Mode, ADB Mode, Flash Mode/Reset Privacy/Backup & Restore Security/Format/Read Firmware etc..
QMobile x600 MT6592 – Read Info/Flashing/Direct Unlock By ADB,Flash Mode, Meta Mode/IMEI Repair By SPMETA Exclusive, Meta Mode, ADB Mode, Flash Mode/Reset Privacy/Backup & Restore Security/Format/Read Firmware etc.. RHYTHM RX70 MT6582 – Read Info/Flashing/Direct Unlock By ADB,Flash Mode, Meta Mode/IMEI Repair By SPMETA Exclusive, Meta Mode, ADB Mode, Flash Mode/Reset Privacy/Backup & Restore Security/Format/Read Firmware etc.. RHYTHM RX80 MT6582 – Read Info/Flashing/Direct Unlock By ADB,Flash Mode, Meta Mode/IMEI Repair By SPMETA Exclusive, Meta Mode, ADB Mode, Flash Mode/Reset Privacy/Backup & Restore Security/Format/Read Firmware etc.. RHYTHM RX150 MT6582 – Read Info/Flashing/Direct Unlock By ADB,Flash Mode, Meta Mode/IMEI Repair By SPMETA Exclusive, Meta Mode, ADB Mode, Flash Mode/Reset Privacy/Backup & Restore Security/Format/Read Firmware etc..
Rivo Rx55 MT6582 – Read Info/Flashing/Direct Unlock By ADB,Flash Mode, Meta Mode/IMEI Repair By SPMETA Exclusive, Meta Mode, ADB Mode, Flash Mode/Reset Privacy/Backup & Restore Security/Format/Read Firmware etc..
Rivo Phantom RX200 MT6582 – Read Info/Flashing/Direct Unlock By ADB,Flash Mode, Meta Mode/IMEI Repair By SPMETA Exclusive, Meta Mode, ADB Mode, Flash Mode/Reset Privacy/Backup & Restore Security/Format/Read Firmware etc..
Haier I70 MT6592 – Read Info/Flashing/Direct Unlock By ADB,Flash Mode, Meta Mode/IMEI Repair By SPMETA Exclusive, Meta Mode, ADB Mode, Flash Mode/Reset Privacy/Backup & Restore Security/Format/Read Firmware etc..
Lenovo A378t MT6572 – Read Info/Flashing/Direct Unlock By ADB,Flash Mode, Meta Mode/IMEI Repair By SPMETA Exclusive, Meta Mode, ADB Mode, Flash Mode/Reset Privacy/Backup & Restore Security/Format/Read Firmware etc..
Lenovo A820 MT6589 – Read Info/Flashing/Direct Unlock By ADB,Flash Mode, Meta Mode/IMEI Repair By SPMETA Exclusive, Meta Mode, ADB Mode, Flash Mode/Reset Privacy/Backup & Restore Security/Format/Read Firmware etc..
Lenovo S5000 MT6589 – Read Info/Flashing/Direct Unlock By ADB,Flash Mode, Meta Mode/IMEI Repair By SPMETA Exclusive, Meta Mode, ADB Mode, Flash Mode/Reset Privacy/Backup & Restore Security/Format/Read Firmware etc..
Xtreme V40i MT6572 – Read Info/Flashing/Direct Unlock By ADB,Flash Mode, Meta Mode/IMEI Repair By SPMETA Exclusive, Meta Mode, ADB Mode, Flash Mode/Reset Privacy/Backup & Restore Security/Format/Read Firmware etc..
Xtreme V60 MT6589 – Read Info/Flashing/Direct Unlock By ADB,Flash Mode, Meta Mode/IMEI Repair By SPMETA Exclusive, Meta Mode, ADB Mode, Flash Mode/Reset Privacy/Backup & Restore Security/Format/Read Firmware etc..
Xtreme V70 MT6589 – Read Info/Flashing/Direct Unlock By ADB,Flash Mode, Meta Mode/IMEI Repair By SPMETA Exclusive, Meta Mode, ADB Mode, Flash Mode/Reset Privacy/Backup & Restore Security/Format/Read Firmware etc..
Micromax A315 MT6592 – Read Info/Flashing/Direct Unlock By ADB,Flash Mode, Meta Mode/IMEI Repair By SPMETA Exclusive, Meta Mode, ADB Mode, Flash Mode/Reset Privacy/Backup & Restore Security/Format/Read Firmware etc..
Micromax A102 MT6572 – Read Info/Flashing/Direct Unlock By ADB,Flash Mode, Meta Mode/IMEI Repair By SPMETA Exclusive, Meta Mode, ADB Mode, Flash Mode/Reset Privacy/Backup & Restore Security/Format/Read Firmware etc..
Panasonic Eluga L2 MT6735M – Read Info/Flashing/Direct Unlock By ADB,Flash Mode, Meta Mode/IMEI Repair By SPMETA Exclusive, Meta Mode, ADB Mode, Flash Mode/Reset Privacy/Backup & Restore Security/Format/Read Firmware etc..
– B. Upgrade Mode (without flash preloader and format). – 1.2= Perform after flash checksum verification. with detailed info about preloader, firmware and IMEI. 3. Dump/Read security items in flash mode. 4. Restore security items in flash mode. 5. Dump/Read NVRam & Restore NVRam – Supported in flash mode and meta mode. 5. Format full except preloader. 6. Format by range = supported in flash mode. 7. Format Userdata in phone = supported in flash mode. 8. Reboot in meta mode, factory mode. 9. 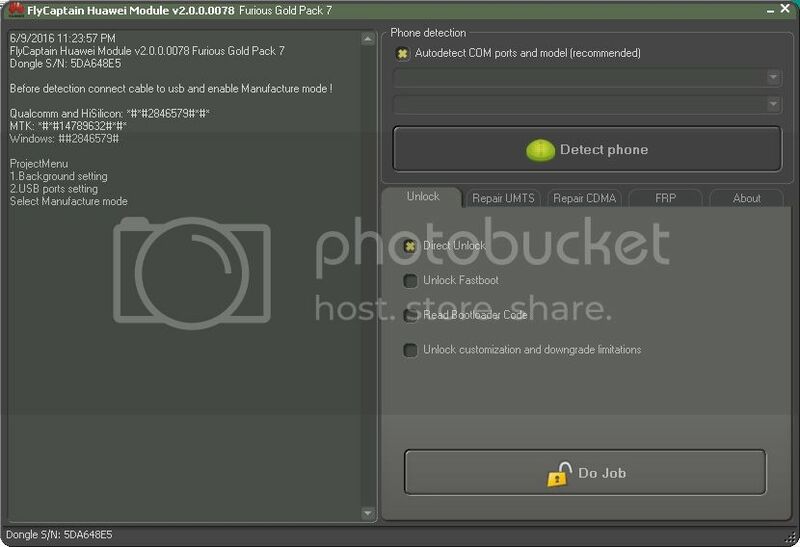 Read unlock codes – supported in flash mode and meta mode, adb mode. 10. Direct unlock = supported in flash mode and meta mode, adb mode. 11. Repair IMEI = supported in Flash Mode, Meta Mode, SPMETA Mode (World’s First and Exclusive), ADB Mode. 12. Reset FRP = supported in flash mode. 13. Reset Privacy = supported in flash mode. 14. Analyse preloader file = provide all info about preloader. 15. Boot info, provide info about flash ic, cpu , imei in flash mode. 16. Meta info, provide info about IMEI, model, cpu, brand e.t.c. in meta mode. 17. ADB Info, provide info about IMEI, model, cpu, brand e.t.c. in adb mode. 18. Allow to select manually location for backup directory. 19. Support access with many Firmwares for different brands and many Security Backups. 14. Analise preloader file = provide all info about preloader. Also Totally Failed with Monkey Donkey Team. Some Flash ic with MTK NAND 6572 was giving error & some Stuck on 100% Bootloader, is solved. MTK eMMC 6582 Write flash error. Usb Root, on some devices it was giving error “Root Failed” Which is improved now. SM-T217S – Read Info Direct Unlock (No Root Needed). SM-G360P – Read Info Direct Unlock (No Root Needed). SM-N900P – Read Info Direct Unlock (No Root Needed). SM-N910P – Read Info Direct Unlock (No Root Needed). SM-N915P – Read Info Direct Unlock (No Root Needed). 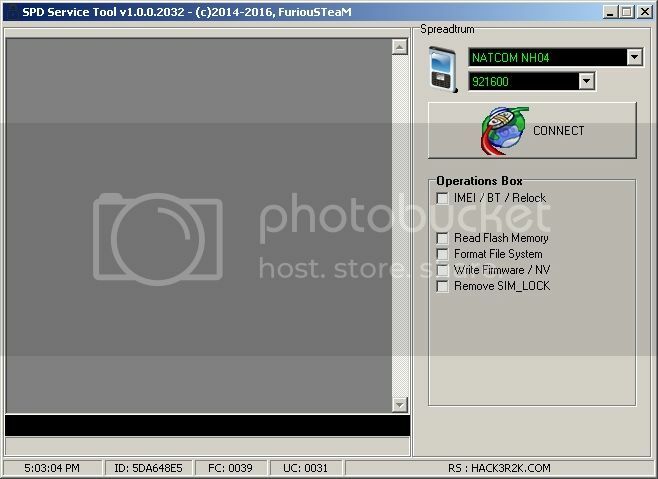 SM-920P – Read Info Direct Unlock (No Root Needed). SM-G900P – Read Info Direct Unlock (No Root Needed). SM-G920P – Read Info Direct Unlock (No Root Needed). SM-G925P – Read Info Direct Unlock (No Root Needed). SM-G928P – Read Info Direct Unlock (No Root Needed). SM-G930P – Read Info Direct Unlock (No Root Needed). SM-G935P – Read Info Direct Unlock (No Root Needed). – Generic Qualcomm – Repair IMEI. ZTE-CONCORD – Read Info Direct Unlock. ZTE-V768 – Read Info Direct Unlock. OT-927 – Read Info Direct Unlock. OT-906 – Read Info Direct Unlock. OT-913 – Read Info Direct Unlock. OT-978 – Read Info Direct Unlock. OT-979 – Read Info Direct Unlock. OT-V860 – Read Info Direct Unlock. MTC-962 – Read Info Direct Unlock. OT-960 – Read Info Direct Unlock. OT-983 – Read Info Direct Unlock. Avengers Box Comes without Activation – monthly or yearly. Avengers Box Comes without Any PAID PACKS. Avengers Box Comes without server based all features. Avengers Box has no credits system. Avengers Box Has Unlimited Updates. NOTE: ALL THE OLDER VERSIONS ARE NOW BANNED FROM THE SERVER. PLEASE USE THE LATEST VERSION !